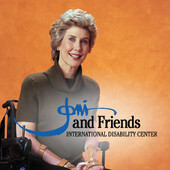 Joni's life has encouraged and inspired me for more than thirty years. Her diving accident, like others with spinal cord injuries, was sudden, without warning; she went from walking upright to sitting down; from full sensation to full paralysis from the neck down, in mere seconds. Her life story and a pile of other bio-videos produced by Joni's ministry, "Joni and Friends," created to inspire all, regardless of where they are at in life, will be posted in the coming days. No, I don't endorse that as a believer in Christ, we are to idolize anyone. But I do believe that God works through certain people, providing what He knows we need to learn. Listen to this: Even when I had no clue about why we were on this earth, ignoring Jesus and living for my self, facing incredible bouts of depression because I was terrified of death, God was always taking care of me. Try that some time, look back to your earliest memories and recount the many times that you know things could have went way worse than they did, making it evident that we weren't as alone as we believed we were. Having a younger sister who had become a Christian at the age of eleven, meant I would be exposed to a variety of musical artists like Amy Grant, Michael W Smith and of course Joni Eareckson (before she was married to Ken Tada). Joni's voice was beautiful, as an aspiring singer (in my own head), I remember singing along with her, at the top of my lungs in my bedroom. It was her open and blatantly honest autobiography about her diving accident in1967, that really caused me to have someone I could receive inspiration and encouragement from. I may not have suffered a spinal cord injury like her, but I did stop walking when I was thirteen years old and knew that my muscles would continue to weaken until one day, I wouldn't be able to fight off a lung illness that would lead to premature death (so "they say.) As well, like Joni, I too longed to be a visual artist ever since I could hold a pencil, and, I may never have recorded that album, but every time I could, I loved singing my heart out into my hair brush. Needless to say, that when her movie came out in theaters everywhere, (I was about twelve years old at the time) I connected with her in a way that would last right up until this day. Funny how that can happen with someone you may never actually meet on this earth! Joni herself, would never want anyone placing her on any pedestals and that's something that I would never desire to do. Because of her godly teaching and her willingness to be so open about her life, it is clear to all that God uses her life to touch millions around the world. As the years progressed, after the movie came out, she opened a ministry directed toward others living with all types of disabilities and their families, called, "Joni and Friends." As a single woman myself during the time I was reading her book called Choices, Changes, all about all that she dealt with while making the "Joni" movie, and how then the development of the Ministry happened, and her struggles with relationships and her desire for one, she didn't know it and may never know it, but her words helped me to know I was not alone. By then I became a believer, so reading her raw, truthful books, so often helped soothe my lonely aching heart. When I got to the section of the book about how this wonderful, handsome man named Ken Tada, entered her life and how much he loved Jesus Christ too, my heart was all a flutter. I re-read that book more than a couple of times. Joni underwent many times of physical suffering as her thin bones would cause brutal pressure sores that would result in months of bed rest. When I read about how this dear man, built her an easel that would cause her to be able to paint in bed, it was obvious what real love was and why she had to say yes when he proposed to her. My teenage years were spent compromising myself, body, mind and soul, always desiring love and acceptance but never finding it because I was living a lie, blind to the Truth. The interesting thin is, I had heard God's Truth, I was aware but it was as if I never heard a word. At that point I was even familiar with Joni's story because of her books and the movie that came out when I was only twelve or so! The point I am trying to make is how amazing it is, when I look back, how God permitted me to make a lot of really rotten decisions and yet, He made sure that I was hungering for meaning, showing me lives like Joni's. It is as if the answers were presented when I was much younger, but because He knows what it will take for us to drawn close to Him and what we need to go through for purposes that we may never know - He didn't let me "see" until my early twenties. If I didn't make so make many lousy choices through all those years and if I didn't live this life that He pre-ordained, I wouldn't have this story to tell that points to the absolute Truth of Jesus Christ. I wouldn't change a thing, all the pain is worth it all because it lead to Jesus' loving and healing arms. 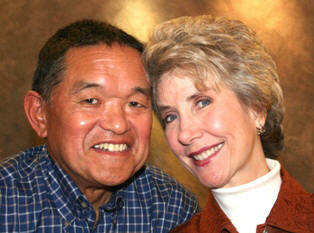 Joni too, knows why too, to draw her near to Him and to be used to bless many. What a gift to know that about pain and suffering, both emotional and physical. Yes, God can heal and restore without us, but He chooses to let us be a part of all that He planned long ago. We all must admit that, if we are battling something like drug addiction, and a well meaning someone tries to tell us they understand, but they have never experienced any type of addiction, just how not helpful that is. That is why for some, support groups work. Not a fan of those myself, but I get why they exist. For me, just being able to read about or listen to someone's story, like Joni and the others I will post soon on this blog, are what God uses to inspire and encourage me. All the more reason to believe that we are not to hide all that God has done in our lives, we have been blessed and we are to pass the blessings on. We are told in God's Word that the Body of Christ, the church, is the body of believers in Christ. It is made up of many parts and Jesus is the Head of the Body. Just like our awesomely created human body parts, all work together to function, the Body of Christ is to work together, building each other up, to function well. One big mistake is when we join in with the self focused, narcissistic world that exists today. If we follow Christ, we are to prefer others above ourselves, being His hands and feet in so many ways-sharing our lives, glorifying our Heavenly Father. Thanks to God providing my earthly hero, (not idol) Joni, He touches my heart in the darkest times as the enemy tries to tempt me with that old foe, self pity. As I face each new day, I remember what I read from Joni, talking about how she, like myself, sometimes just doesn't have it in her to smile when she knows her "get up girls" are coming to help her out of bed. There are days when you just wish you could be alone with your husband, free from needing anyone else's assistance - no matter how thankful you are for the great ladies who help you. Joni speaks about how she asks God to be her smile for the girls that morning because she doesn't have one and of course, He does just that! Her prayer has become mine as well. Because I was blessed with reading about her honest struggles, that one paragraph alone has impacted how I handle those tougher days! Thank you Lord, for the lives of others that You use to encourage us with. May my life be used the same way!